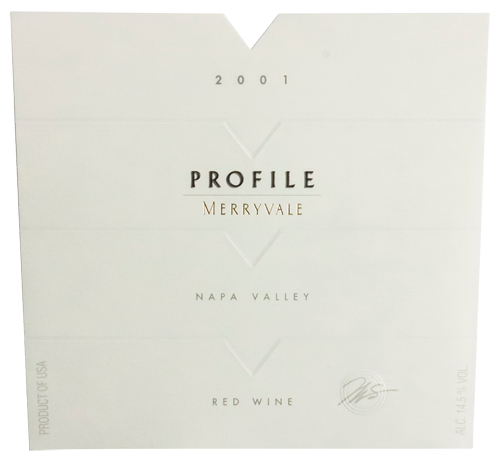 Profile is a blend of our finest lots of Cabernet Sauvignon, Merlot, Cabernet Franc and Petit Verdot, chosen for their concentration, depth of flavor and fine tannin structure. This wine was aging in mostly new French oak chateau ferre barrels and bottled unfined and unfiltered. It is opulently structured and very dark. Merryvale Estate; Beckstoffer-Vineyard Georges III, VI, X, ToKalon and Las Amigas; Showket; Oak Creek. “… from the more than 500 wines I taste each month. The opinions are solely my own and in no way have any commercial considerations been brought to bear on my selections. From TASTED and www.tastedonline.com: "